Leo Extreme Prestashop Theme is totally responsive multiple shop with TWO versions. It is designed for sport shop, equipment store, hat store, accessories store and multistores. It was integrated and mixed a wonderful set of panel tool included 3 colors and double kinds of layout modes in order to give the whole theme a smooth sense with wonderful features as Swipe, Animations can be display perfectly in all devices. Leo Extreme comes with lots of built-in functionality which includes powerful admin panel will help you manage your site better, customize easier. Wish You Success with Leo Extreme Prestashop Theme! 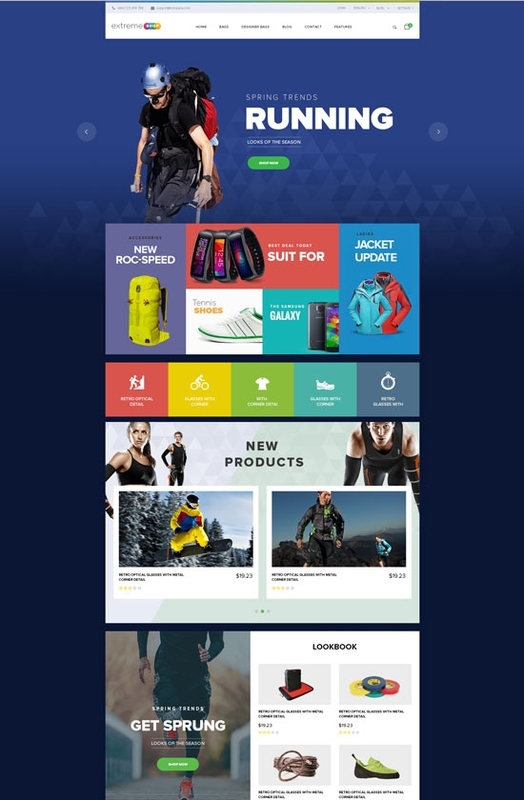 The Leo Extreme responsive Prestashop theme for every product.